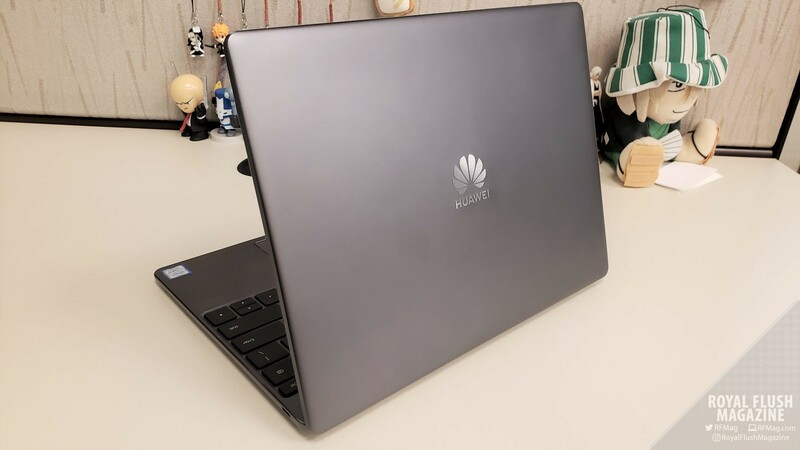 At CES 2019, HUAWEI introduced the HUAWEI MateBook 13 and HUAWEI MediaPad M5 as the latest additions to their flagship line of portable products. Here, we are going to focus on the HUAWEI MateBook 13, HUAWEI’s attempt to bring flagship performance to mainstream markets and price points. Released for sale on January 29, 2019, the HUAWEI MateBook 13 is available now at major electronic retailers, coming in two spec tiers. The first $999 variant uses an 8th Gen Intel Core i5 8265U processor with integrated Intel® UHD Graphics 620, 8GB of memory, and a 256GB PCIe SSD, coming in the Mystic Silver color scheme. What arrived on our doorstep for review was the next tier model up from that. 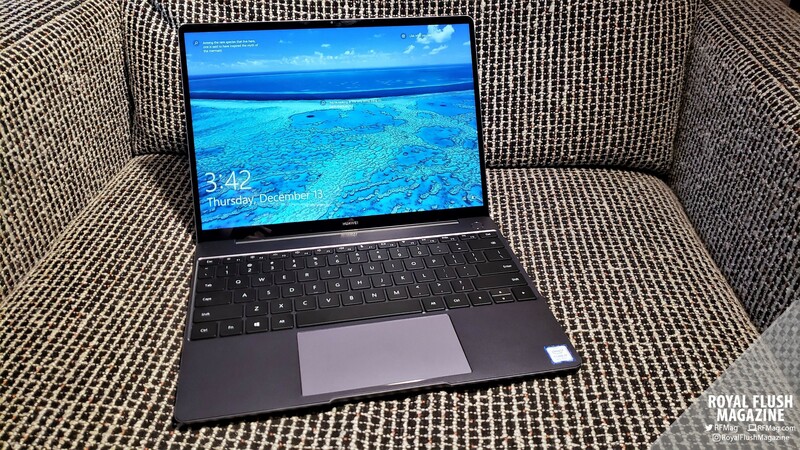 Here, we review the $1299 HUAWEI MateBook 13, coming with an 8th Gen Intel Core i7 8565U processor, NVIDIA® GeForce® MX150 Graphics (TDP 25W) with 2GB GDDR5, 8GB of memory, and a 512GB PCIe SSD, rocking the Space Gray color scheme. Let’s take it for a spin! The trending product designed for today’s user on the go tends to be lean and lightweight computers with screens in the neighborhood of 13-inches in size or less. The aim of course is to stuff as much power and functionality into these machines while keeping their footprint as small as possible. Apple’s Macbook Air, Macbook Pro and Microsoft’s Surface Pro follow this mold and are seen all over the place. So as an avid and heavy Microsoft Surface Pro 3 user, I was more than eager to tackle HUAWEI’s latest submission into this 13-inch laptop arena. On the outside of the HUAWEI MateBook 13, you have a CNC cut aluminum chassis which was sandblasted to produce a soft and glossy finish. On the top lid, you have the slick and subtle HUAWEI logo, which blends in nicely with the Space Gray color scheme. You have a USB-C port on each side of the laptop, where the one on the left doubles as a charging port and the one on the right doubles as a DisplayPort. Also on the left, you have a 3.5mm mic and headphone jack while the bottom of laptop houses the laptop’s exhaust. Opening up the HUAWEI MateBook 13 exposes a large click pad, the one-touch power button, and a spill-resistant keyboard with 1.2mm travel distance. For the screen, you have the FullView Touch Screen display at a 3:2 aspect ratio, featuring a 2K display at a resolution of 2160×1440 at 200ppi, supporting 100% of the RGB color gamut. The display also sports a 178-degree viewing angle and a front-facing camera along the 4.4mm bezel. Going a little bit into the HUAWEI MateBook 13’s internals, the laptop features the HUAWEI Shark Fin Design 2.0 cooling solution. This cooling system features a dual fan design that touts an airflow rate of approximately 25% more than conventional laptop fans and lowers noise by 3 decibels when playing videos and audio. As far as build quality goes, the HUAWEI MateBook 13 is both sleek and impressive. The laptop’s high-quality no-nonsense build does weigh in at 2.86 lbs., making it a smidgen heavier than the Surface Pro 6 (with keyboard cover) and the Macbook Air 11-inch, each weighing 2.4 lbs. However, the HUAWEI MateBook 13 does have an inch plus more screen real-estate than those two products. More so, it still sits in the neighborhood of the Macbook Air 13’s 2.75 to 2.96 lbs. (depending on display) and the Macbook Pro 13-inch at 3.02 lbs. So at the very least, the HUAWEI MateBook 13 plays in the ballpark weight of the products it is up against. Going deeper, from the point you take it out its packaging to you opening it up and using it, the HUAWEI MateBook 13 simply feels great. The keyboard makes typing fun and comfortable, which carried me along all of my write-ups, post CES 2019, including this one. Whether it be on a desk or on your lap, the keyboard and palm rest’s ergonomics were simply on point. The touchpad was nothing to sneeze at either, being both slick and responsive. All of the second-nature multi-finger gestures that I have been accustomed to in Windows 10 flowed effortlessly, without any issues. Not to mention, quick taps and gestures on the touchscreen, whenever I wanted to manage on-going music or movies, also felt as snappy as they did when I would use the touchpad. The only minor snag that came with comfort lie in the HUAWEI MateBook 13’s heat dispersion arrangement. 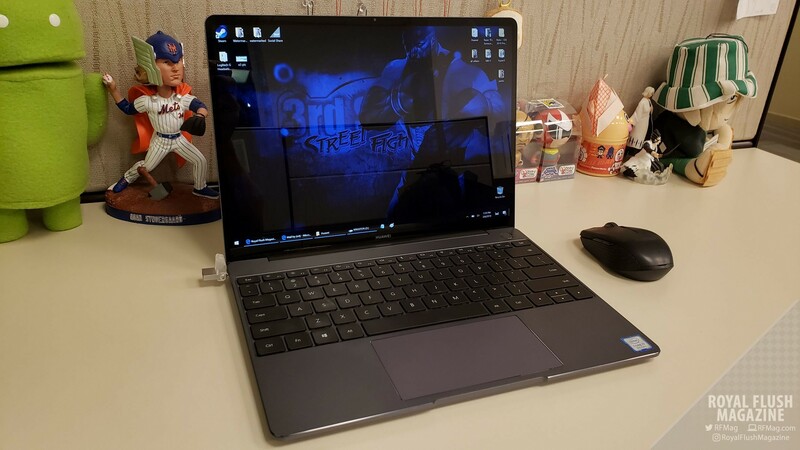 Since the heat is dispersed out of the bottom of the laptop, you are looking into a very warm lap if you are doing some heavy processing on the HUAWEI MateBook 13, like with some of the light gaming that I will get into later in this review. Like with any PC, if the PC is working hard, even if it is not struggling, it is simply going to get warm. However, the HUAWEI MateBook 13 emphasizes this hot lap scenario since it is also shooting its heat downward. This is obviously an easily-remedied scenario by simply using the machine on a surface, leaving heavier computing tasks for when the PC is not on your lap, or employing any of the countless laptop lap desk solutions out in the wild. I learned this lesson fast when I was testing the HUAWEI MateBook 13’s brute strength while having it rest on my lap. Once I did, it was simple to leave using the laptop on my lap to when I was browsing the web, writing, or just watching videos. So as build, looks, and feel go with the HUAWEI MateBook 13, it gets great marks all around. Starting with multimedia, the laptop’s display did any and all forms of media justice, displaying beautiful and crisp imagery. The display was bright, colorful and vibrant, regardless of the content I was watching. That media enjoyment experience was complimented well by the included Dolby Atmos speakers. Together, the laptop’s display and audio made watching YouTube videos and anime episodes a delight, even without a headset. The HUAWEI MateBook 13 delivered a booming and clear sound straight out of the PC, which was much more than I expected. However, as much I as enjoyed that, I usually leaned towards connecting a headset to the laptop so that I could enjoy Dolby Atmos’ spatial sound. 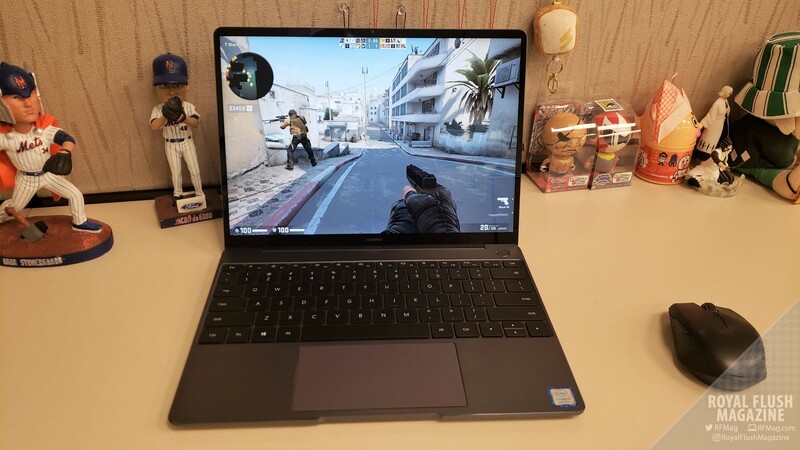 Seeing how the HUAWEI MateBook 13 had a discrete video card in the NVIDIA GeForce MX 150, I just had to try out some light gaming, just to see how the machine powered through. So, I loaded Steam and played some resource-light games. Sure enough, Counter Strike GO played without any stutter or hiccups, while maintaining a sharp display. I chose to disregard the heat the laptop produced while running Counter Strike GO, seeing how playing such a game with the laptop on a surface with a mouse made the most sense. I simply connected my Razer Atheris mouse via Bluetooth, plugged in a LucidSound LS35X headset into the 3.5mm jack, and I was off to the races! No qualms with the HUAWEI MateBook 13’s processing power here. Not to mention, I was quickly spoiled by the time it took to boot from a completely off status to a usable desktop. The one-touch power button acts as both a standard power button and fingerprint scanner, allowing for fast authentication as opposed to typing in a password. From the point I pressed the one-touch power button, it took under 10 seconds for the HUAWEI MateBook 13 to boot up, authenticate with my fingerprint, and unlock to a fully ready desktop. The imbedded mic and camera were pretty standard in performance. I was able to hold a couple a video calls without a headset and with no complaints from call participants on the other side. They confirmed that I sounded clear while my picture quality was satisfactory. Battery life was quite respectable, where I was able to work on the HUAWEI MateBook 13 for a good five hours before it complained about battery life. The working conditions in this scenario were more or less using Microsoft Word while listening to streaming music on YouTube, chatting on Google Hangouts, and having with three or four other browser tabs constantly refreshing with updates. When I would do nothing more than stream music for listening, leaving up just a Google Hangouts window, the battery life would stretch father by a couple of hours. Playing video games expectedly trounced the battery in about an hour or so. All of these scenario outcomes were more or less in line with my expectations with the HUAWEI MateBook 13. If you are not already accustomed with today’s smaller form factor laptops, you should know that adapters would most likely become a part your life with these types of products. Not all ultra-compact laptops have the standard USB type-A ports that you may be used to. Much of that has to do with how much space is saved in these laptop designs with smaller port choices like Apple’s use of lightning ports or, in this case, the USB-C ports in the HUAWEI MateBook 13. Luckily, adapters are cheap and come in all shapes and sizes. Just simply be aware that this will most likely something you will need to purchase for the HUAWEI MateBook 13. For me, I was able to use the HUAWEI MateBook 13 without a hitch with just the Razer Atheris wireless mouse and a Kingston DataTraveler microDuo 3C USB drive. I had a mouse for whenever I needed one and a means of transferring files between my phone and the laptop. Beyond that, I would just lean on working with various cloud services. That was all I needed to maintain close to a month’s worth of productivity with HUAWEI MateBook 13. Summing it all up, I adored my time with the HUAWEI MateBook 13. It is a sleek and stylish machine that packs a lot of power in a small frame. The transition from my Surface Pro 3 to take the HUAWEI MateBook 13 for a spin was seamless. That was mostly thanks to the HUAWEI MateBook 13 being an overall solid product that gets the job done with style. If you are looking for a 13-inch computing solution that has a small footprint but does not shy on performance, look into the HUAWEI MateBook 13 for yourself on HUAWEI’s website here. This HUAWEI MateBook 13 model is available for purchase now on Newegg and Amazon. 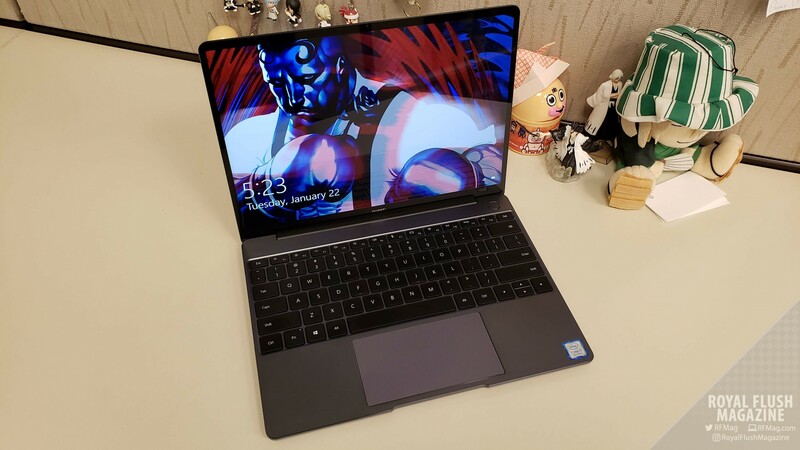 † HUAWEI MateBook 13 loaner unit provided by HUAWEI PR for review.